Havasu is a new one of a kind 12-spoke wheel from Black Rhino. It’s utilizing a fresh new style that shows a performance-oriented nature, combined with an undeniable tough precision constructed look that shows both rugged character with sporty style. The Havasu’s 3300 lb. load capacity (per wheel) is burly enough for heaviest of conversion van builds. These wheels will certainly widen your vehicle’s track with 45 mm of offset. They’re also compatible with our 14 mm hub-centric wheel spacers. Good news for those of you looking to give your rig an even more aggressive stance. 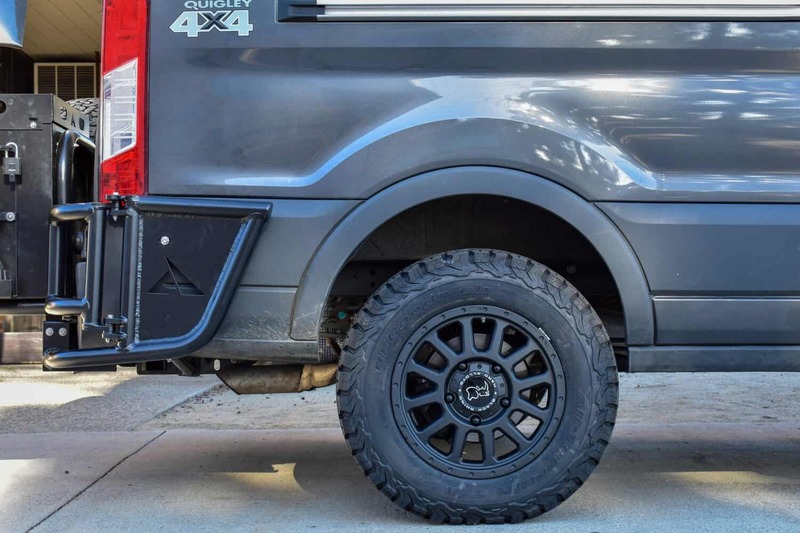 These wheels measure 17 x 7.5 inches and are available in a matte black finish.